If you know a student or two, give them a high-five for saving you on essentials, because the sales this month are all about school. Between sales, specials, and tax-free weekends in several states, here are a few things to buy now, as well as one purchase to delay and invest in later. 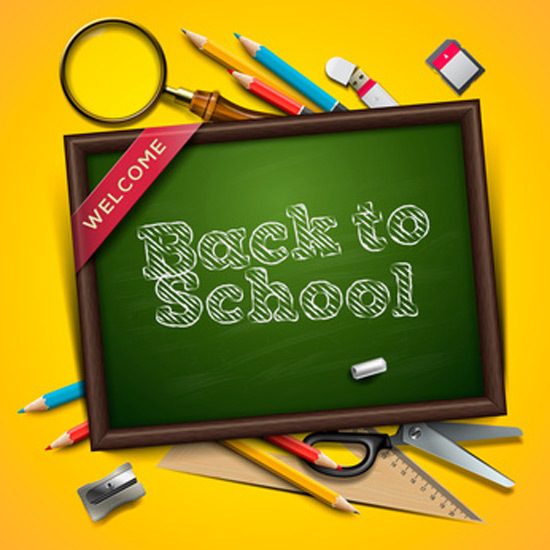 Office and school supplies: Several major retailers such as Target and Office Depot kick off the new school year by offering deals and discounts, hoping to attract students young and old. For students, this is prime time to stock up and save for the year ahead. It also a great time for office workers to consider replacing expensive pieces of office equipment and stocking up on small supplies while prices are low. The stores will push you to get out and buy supplies as early as possible. But wait. They want you to make more than one trip by the time the first day of school comes around. By waiting until you know for sure what you need, you could save big, as the sales will just get bigger as the weeks go by — especially if you can wait until your state has a tax holiday. Many have them in mid-August when people want to go to the beach rather than shop. Clothes: In August, buy a hat, so you can tip it to any students you know, because you have them to thank for this, too. With the first day of school around the corner, retailers come out with promising promotions and reap the rewards: The International Council of Shopping Centers (ICSC) estimates a rise in retail sales of up to 4 percent by September. Clothing stores typically offer back-to-school discounts and sales for both children and parents. Stock up on matching socks for the kids, get a fresh, executive look, and replace your faded jeans during this promotional period. Grills: Grilling season is far from over, but retailers want to get these portable cooking gadgets off their hands and prepare for the next season. Whatever grills stores didn’t sell around Independence Day is yours for the picking and should be at a discounted price. We’ve seen grills at home improvement stores at 70% off this time of year. So grab a packet of hotdogs and some grilling tongs and get on out there! Patio furniture: For the same reason grills are, um, hot to buy this time of year, so is patio furniture. Impatient people decked out their porches by now, but savvy consumers waited out for when the time is just right. You can prepare for your Labor Day cookout with a new, budget-concsious patio set, by saving as uch as 25% to 75% compared to prices at the beginnig of the season. By saving that much, you can sit back and rest easy. Storage: Stay tuned for big sales and slashed prices while penny-pinching college students shop to outfit their dorms and apartments. As far as we know, discounts do not require a student ID, so spend some time assessing your organization needs at home and at the office, put on your alma mater hoodie, and do some fall cleaning. Wine: ’Tis the season! If your dream wedding includes a scene of country fields, book a wedding at a vineyard in August, because it is harvest time for some areas of the country. Check for specials and discounts at your local wine or grocery stores throughout the harvesting season as vineyards and wine companies promote new bottles. Keep an eye out for stores with case discounts when you buy at least six bottles at once. Hotels: Third-party booking websites such as Hotels.com and Orbitz.com usually offer the best coupons and rates during August. In recent years around this time, Orbitz saw a 15% decrease in booking costs, and Hotels.com gave special deals up to 50% off in conjunction with other coupons. Most deals are valid for several months, offering the opportunity to plan for winter vacations and early spring trips now. Teetering into the off-season, August can be an ideal time to book and plan ahead. Smart phones and tablets: Speculations by tech-focused sites, such as Geek.com, indicate big unveils from manufacturers at trade shows and other events during the fall. Consumers should expect high prices until the initial craze fizzles or the holiday season begins. Happy saving in August! Enjoy your organized, outfitted office, and new clothes. Summer is winding down and life is about to gear up again. If you've been lazy about minding your finances over the last couple of months, it's time to get back on track. Share on Facebook "What to Buy in August"